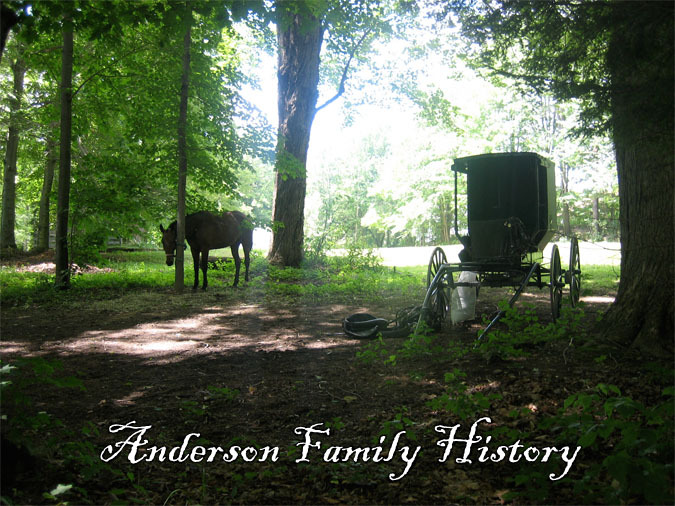 The origin of the Anderson family can be traced to the Scandinavian country of Sweden. The surname is a patronymic term, derived from Anders, the Swedish equivalent of the Greek name Andreas. In Sweden, Anders had been one of the most common personal names for many centuries when the patronymics were converted into family names; thus explaining the large number of people bearing the surname Andersson. The Anderson Coat of Arms is a blue shield with a silver crescent points down, between two silver escallops. Our lineage to this family can be traced back to CHARLES L. "CHARLIE" ANDERSON, who emigrated to America from Sweden in 1887, as did his wife, ALMA, whom was born in New York in 1872, and he married in 1888. Two antique portraits of Charlie and Alma are today in possession of their great, great-granddaughter, LORI ANN DOTSON. Charlie and Alma Anderson, as they appear in portraits now in the possession of Lori Ann Dotson. 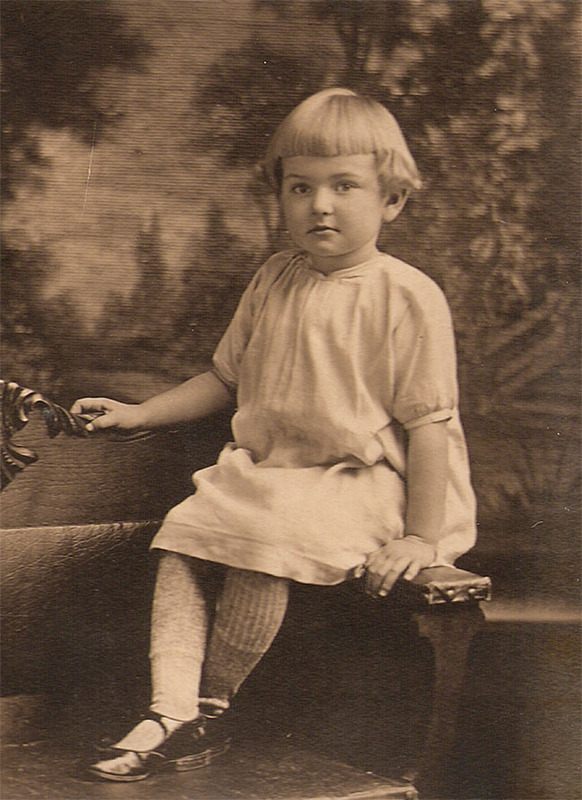 CARL O. ANDERSON was born on 25 Aug 1889 and married FREDA FRANK (b. 1891) and had two daughters, Edna and Pauline. RUBERT ALBIN ANDERSON was born on 13 Feb 1891. He married Freda Frank's sister, Emma M. Frank and they had a daughter, Lorena E. Anderson, in 1819. Rubert died in Jan 1974 in Cattaraugus, New York. EDNA ANDERSON was born in 1893 and died in 1909. 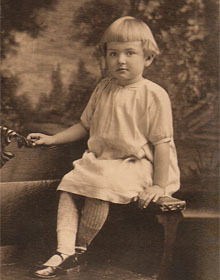 BERT WILLIAM ANDERSON was born in 1894 and died in 1895. 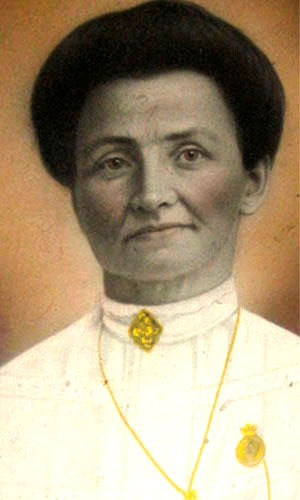 ALICE ANDERSON was born in 1899. 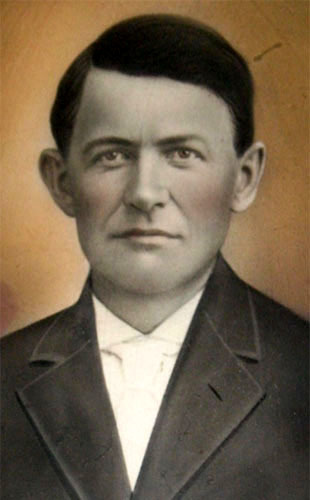 Charlie and Alma had a son, CARL O. ANDERSON, on the 25th of August in 1889. Then they moved to Chautauqua, New York. In the 1892 New York Census, they lived in Carroll, Chautauqua, New York. SOURCE INFORMATION: US Census Records. Index created from United States of America, Bureau of the Census. 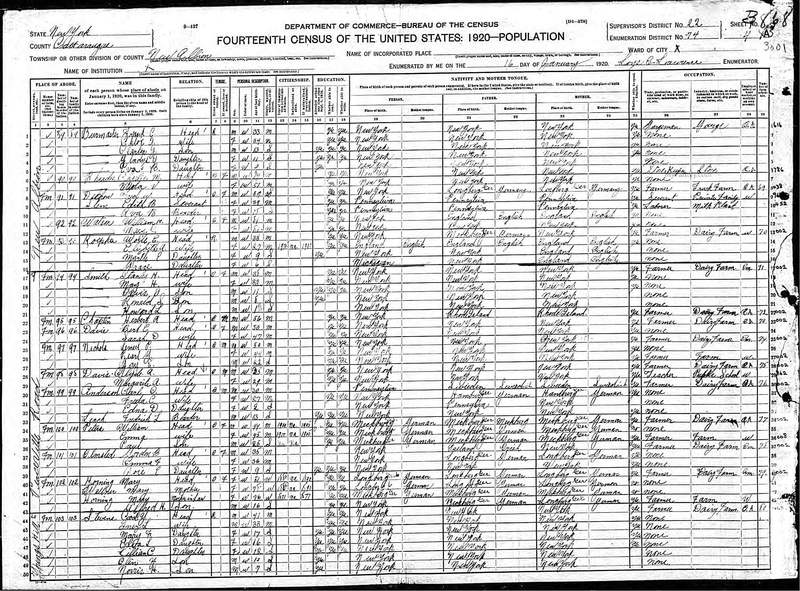 1920; Census Place: New Albion, Cattaraugus, New York; Roll: T625_1088; Page: 4B; Enumeration District: 74; Image: 527. 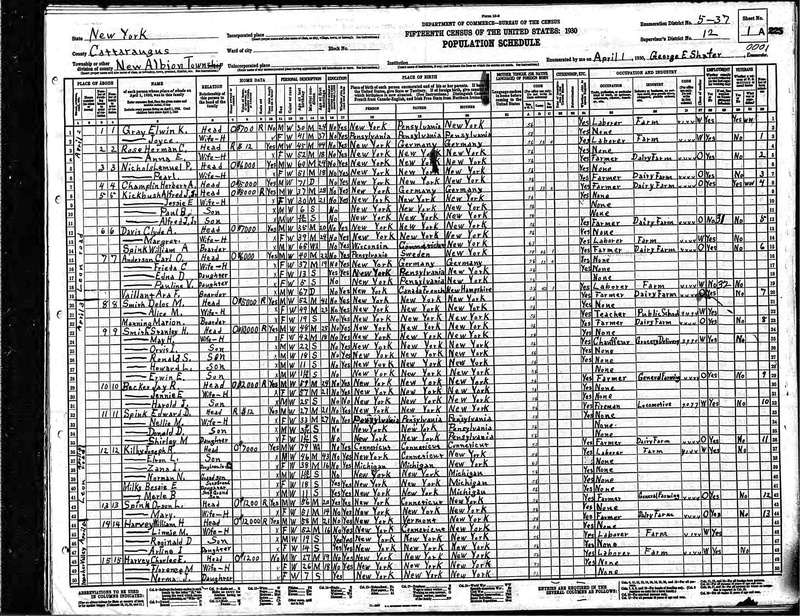 1930; Census Place: New Albion, Cattaraugus, New York; Roll: 1409; Page: 1A; Enumeration District: 37; Image: 1015.0. SOURCE INFORMATION: National Archives and Records Administration. World War I Selective Service System Draft Registration Cards, 1917-1918. M1509, 20,243 rolls. Washington, D.C. Registration Location: Cattaraugus County, New York; Roll: 1712289; Draft Board: 2. 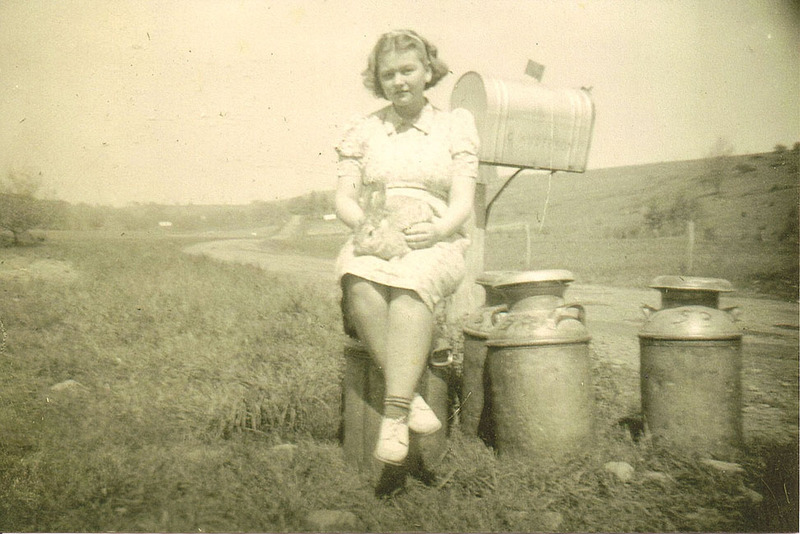 Carl married a second-generation German-American girl named FREDA FRANK of Cattaraugus County, in the state of New York, and then worked on a dairy farm there. Carl's World War I draft registration describes him as being of medium height and weight, with brown hair and blue eyes. (It also says he was missing part of two fingers and a thumb.) They remained in the country at RFD #1, Cattaraugus, between New Albion and Leon, situated amidst the farmlands, vineyards and Amish communities. Carl farmed that land for most of his life, but later worked for the county on the new highway. Carl and Freda started a family there. The Anderson farm, where Pauline Virginia Anderson was born, as it looked in 2006. 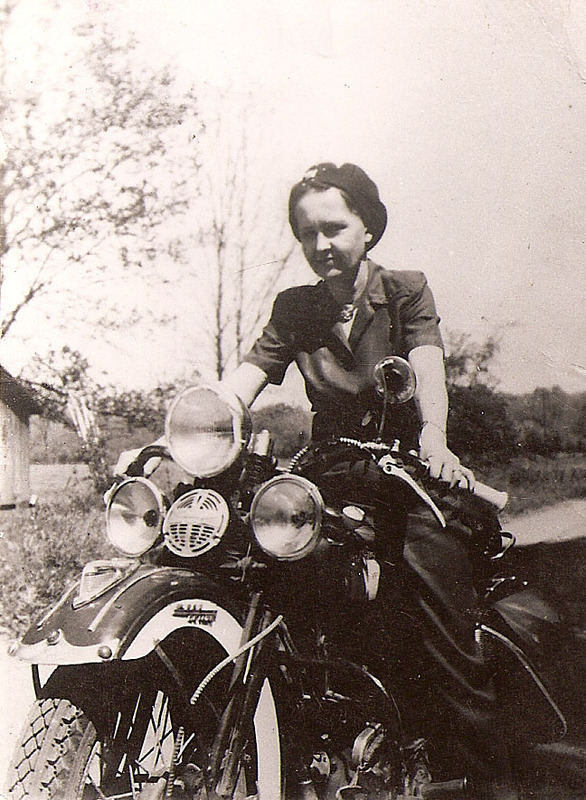 EDNA DOROTHEA "STUB" ANDERSON was born on 04 Jan 1917 in Cattaraugus Co., New York. It was her job to start the wood stoves every morning in the one-room country school house during cold weather while growing up. After class she wood sweep and clean the chalkboards. Edna married OSBOURNE, but had no children. Edna died on 29 Apr 2004 in 14742 Greenhurst, Chautauqua, New York. 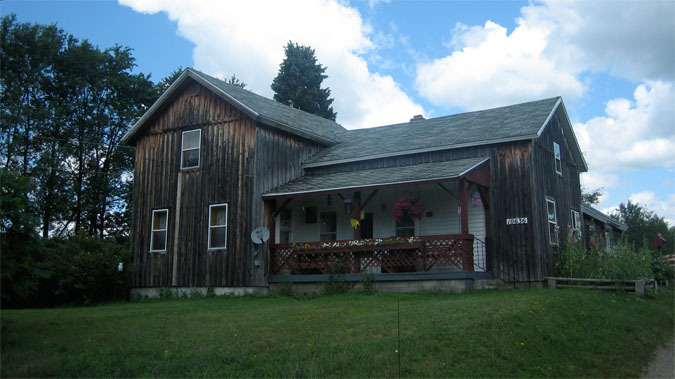 Their youngest daughter, PAULINE VIRGINIA "JONI" ANDERSON, was born in the family farmhouse that still exists today, about three miles from New Albion, Cattaraugus County, New York. Dr. Tuttle from Cattaraugus came to the house to make the delivery. "My father always called me that (Joni)," she says. "He probably wanted a boy." Life on the farm was hard, with few luxuries. 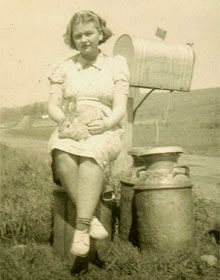 Pauline remembers, "We didn't have bathrooms, so we took baths once a week in a large wash tub. We had to heat the water on the stove." When using the outhouse, "I'd read the Sears Roebuck catalog while going and then use it for toilet paper." She also remembers, "Edna and I each got a pair of silk stockings. A real luxury. I got runs in one of mine and felt bad. Edna came home from a date of drinking, fell down and tore one stocking. I took her good one and replaced it with my bad one while she slept, and she never knew." She was schooled in a one-room schoolhouse, where the teacher taught grades 1-8. School was a mile away, and Carl would take Pauline and Edna to school on a sleigh with horses if the snow was too deep to walk. She then transferred to Little Valley School in the 8th grade, where the students had all been schooled on a yearly schedule. "I had to really buckle down to catch up." She was known a "Virginia" in high school, because she wrote her middle name first when she got there, and the name stuck.  Besides the girls, the family had a boarder, Ara Vailant, who worked on paving the road. He stayed with the family until he died from a heart attack, breaking the glass on the china closet. 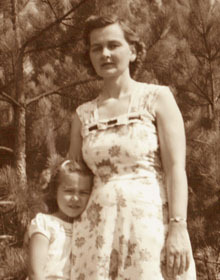 LEFT TO RIGHT: Pauline's baby photo; Pauline poses with her favorite rabbit; Pauline with her daughter, Cynthia Palmer. 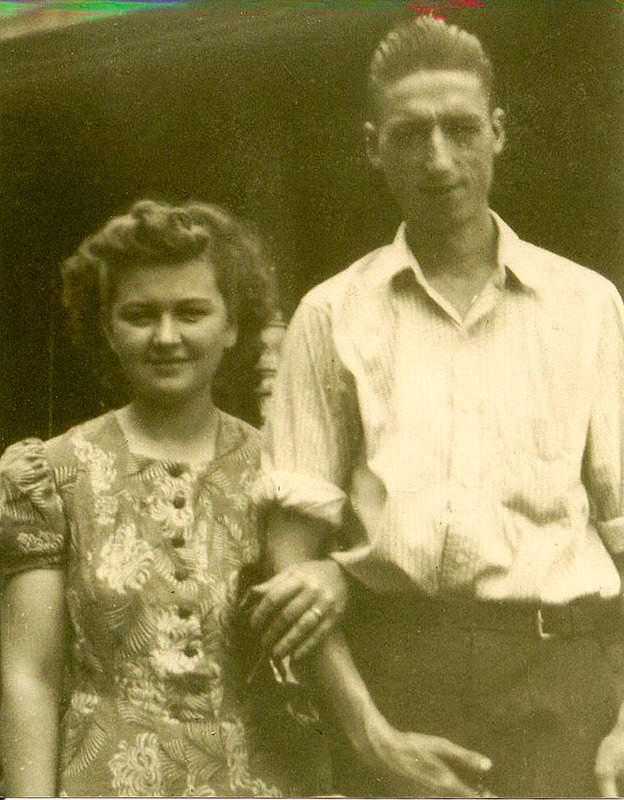 Carl finally got his wish for a son when Pauline married a jovial, wirey local boy, named RAYMOND LAWRENCE PALMER (1917-1981) on the 7th of December, in 1940. They started a farm in Brocton and had four sons and a daughter, who Pauline raised with a firm religious belief, extending even to her grandchildren. 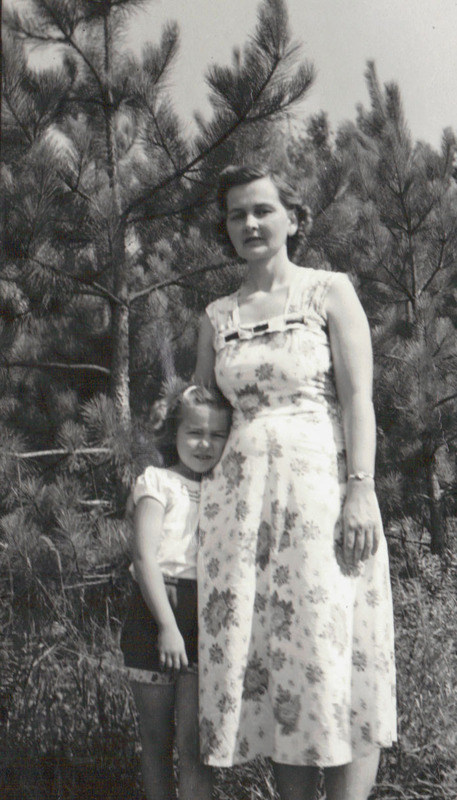 She even took her granddaughter, LORI ANN DOTSON, to Bible Camp every year, where they shared a cabin. 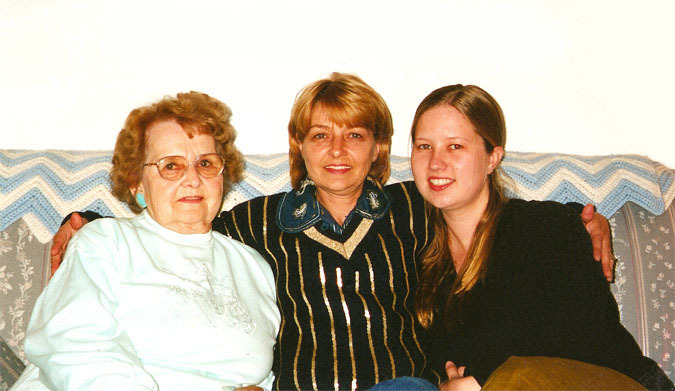 Today she can travel a short distance to the magnificent Lake Erie, where many miles away, on the Michigan side of the great lake, the grandparents of Lori Ann's husband, Jeff, were raising their family at the very same time. LONNIE RAY PALMER was born on 27 Aug 1941. RODGER ORLAND PALMER was born in Apr 1944. GARRY EUGENE PALMER was born on 27 Mar 1946. GALE BRUCE PALMER was born in March, 1948. CYNTHIA ANN PALMER was born on 03 Jan 1951 in Westfield, Chautauqua County, New York. She married TERRY LEE DOTSON and they had two children. LORI ANN DOTSON (b. 07 Oct 1973), who married JEFFREY HAUSE (b. 07 Jun 1961).